Maybe we have Joanna Gaines from HGTV’s Fixer Upper to thank for the growing trend in “everything old is new again” (shiplap, anyone?). Or possibly it’s that landfill sites are so overrun with disposed of garbage and household items that it’s simply time to change the way we think about waste. Whatever your reasons may be, there’s something deeply satisfying about breathing new life into old or broken things. Furniture is one of those “things” we typically hold onto for the long haul. After all, it’s expensive and if chosen wisely it can stand the test of time. But what about the pieces that lose handles, break a leg, or endure years of abuse (anyone with kids out there?). There’s no need to hold a garage sale or relegate your beat up dresser to the “cottage” pile – it’s about to become a showpiece. • Vanity – An Oregon Cottage shows you the step-by-step to turn your dresser into a gorgeous bathroom vanity. A little paint, new knobs, a sink and faucets and voilà. • Coffee station – Check out what Do Dodson Designs did with an antique washstand. 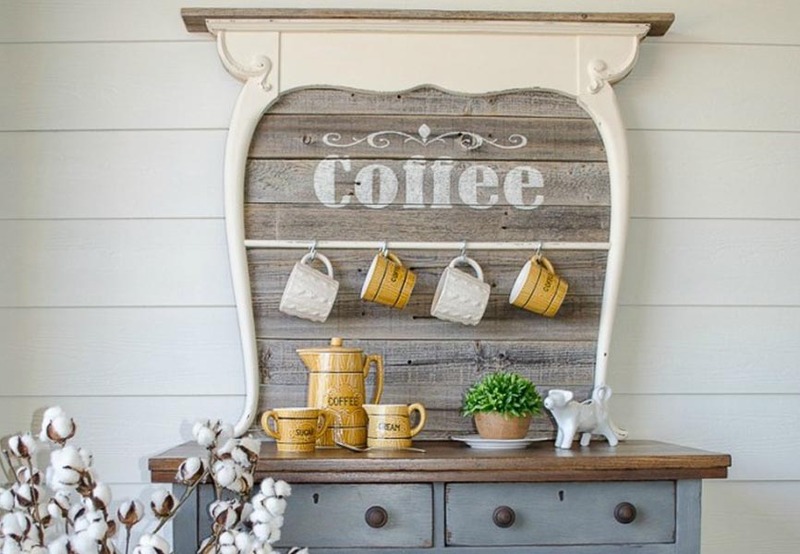 Using old dressers for a coffee station or serving bar? Genius. • TV stand – You’ll love what At the Park’s did to turn their dresser into a cool TV stand. 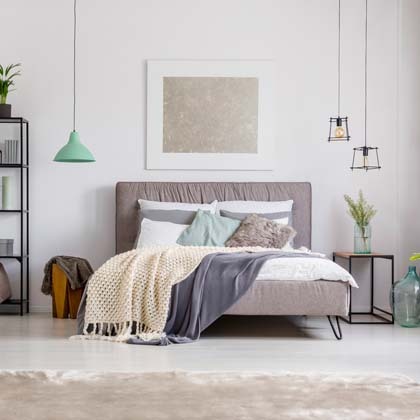 This cheap and cheerful piece rivals anything you’d find at IKEA. • Doll house – We got a kick out of this idea from Turkey Feathers to create a fun dollhouse. Dolls live upstairs and all their accessories are neatly tucked in the drawers. Brilliant! • Kitchen island – Raise your hand if you could use more kitchen storage. Same. Try this idea from Curbly to give your dresser a new beginning as a kitchen island. The chalkboard is a nice touch, too. • Craft storage – Where on earth do you store ribbon, tape and all things crafty? In your “new” craft table, of course! Liz Marie Blog shows you how to easy it is to remove drawers and simply replace them with baskets and bins. • Desk – A desk can truly be an investment piece. So why not save a little money by making one yourself? Follow the advice of Thrifty & Chic and transform your dresser into a piece that looks straight out of the Ethan Allen catalogue. • Kid’s storage bench – First of all, the My (re)Purposed Life blog is a great source of inspiration for all things reimagined. Secondly, you’ll want to make this cute kid’s bench because, well, it’s cute. 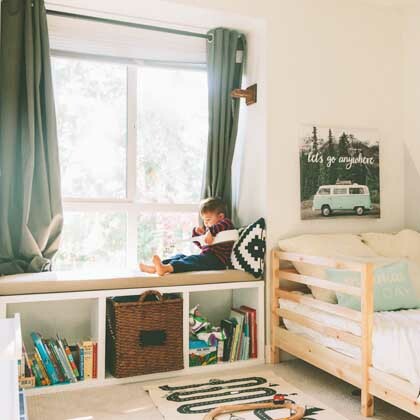 • Book shelf – Speaking of cute kids furniture, check out this bookshelf idea from Apartment Therapy. We love the added touch of wallpaper to give it even more personality. • Garden potting bench – We definitely didn’t think of this one! Check out this step-by-step to creating a potting bench. • Pet feeding station – Part feeding station, part pet food storage, part console table (aka place to put the mail and keys). Win, win, win! • Mudroom bench – This one is impressive and slightly ambitious, but this bench idea from The Weekend Country Girl might just be worth the effort. You might also like this one from Praktic Ideas. • Garden – the Homedit has a great suggestion to turn your dresser into a garden. A little quirky and definitely a conversation piece, but equally interesting and beautiful. 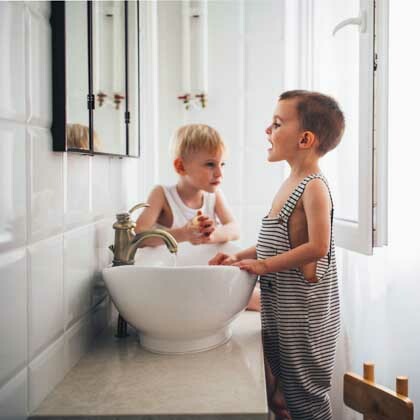 • Change table – Baby furniture can cost a fortune, and it’s only used for a short amount of time. That’s why it makes a ton of sense to repurpose an old dresser and turn it into a baby’s changing table. Go vintagey, modern, cute or glam – it’s up to you! 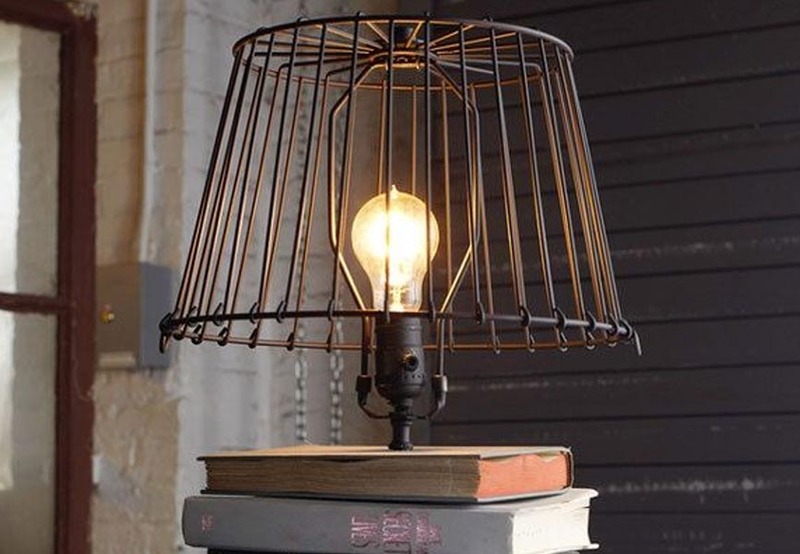 Prepare to have your mind blown over these incredible repurposed furniture creations we found on Pinterest. There are so many fantastic ideas – from turning a crib into chairs (for real!) to making shelves and side tables out of drawers; the inspiration is virtually endless. We have a feeling you’re about to become a weekend DIY warrior. • Turn a broken frame into an earring holder. Just add picture hanging wire. Ta da! • Create a play kitchen out of an old entertainment unit. Paint goes a long way here, as does your imagination. • Make new flip flops out of old ones. With a bit of fabric you can create all new on-trend shoes. • Make light fixtures out of baskets. Turn them upside down and hang them over pendant lights – or find a lighting kit at your hardware store. • Use broken terra cotta pots and ceramics to make decorative pumpkins. Pick up a pumpkin, grab a hot glue gun and turn a regular gourd into a work of art. • Make new crayons from broken ones. Melt broken pieces together in a tin can then pour into prescription bottles to set. Rainbow crayons are more fun, anyway. • Turn a broken ladder into a book shelf. Cut it in half and lean it against a wall. This looks rustic and helps to keep everything in its place. • Turn a rake into a wine glass rack. Take the rake part only and mount it in the kitchen above the counter for a cool place to store stemware. You can spray paint it to match your kitchen décor. • Make a headboard out of an old door. A classic idea and totally on trend. Paint it any colour you like and add nail heads for a touch of glamour. • Turn tennis rackets into mirrors. Simply remove the strings and glue an oval mirror to the back for a fun and sporty wall accessory. • Make throw pillows out of old sweaters. No need to throw away sweaters with holes. Use them to create simply beautiful, knit throw pillow covers. The doyenne of all things crafty, Martha Stewart sure knows a thing or two about making something out of nothing. We went right to the source for a few ideas on how to turn recycling into handy household items. • Metal tins. 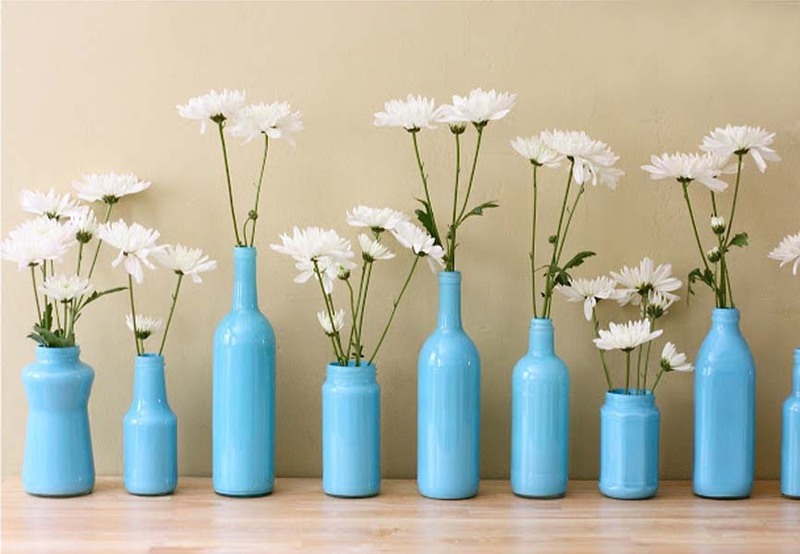 Turn soup, tomato and coffee cans into a matching set of vases or vessels for pens and knickknacks. • Eggshells. Why throw out your eggshells after breakfast when you can turn them into a tiny starter garden? Keep the egg carton, too. • Coffee filters. Dye coffee filters and turn them into bright, colourful table decorations. This one is fun for the kids. • Envelopes. Turn an everyday envelope into a handy funnel by cutting off the corner, then snipping off its tip to transfer dry ingredients to airtight jars. • Funnels. Speaking of funnels, they’re perfect for storing unruly twine and string. Hang the funnel on a wall in a shed, laundry room or utility room and run the ends of the string out the spouts. Genius! • Cupcake wrappers. Decorate jars of preserves and jams with cute cupcake wrappers. • Wine bottles. These often decorative glass bottles can sometimes be too pretty to toss out. If you bought the club-sized jug of olive oil, decant some of it into one of these and seal with a cork or other bottle stopper. Remove the wine label and make your own! 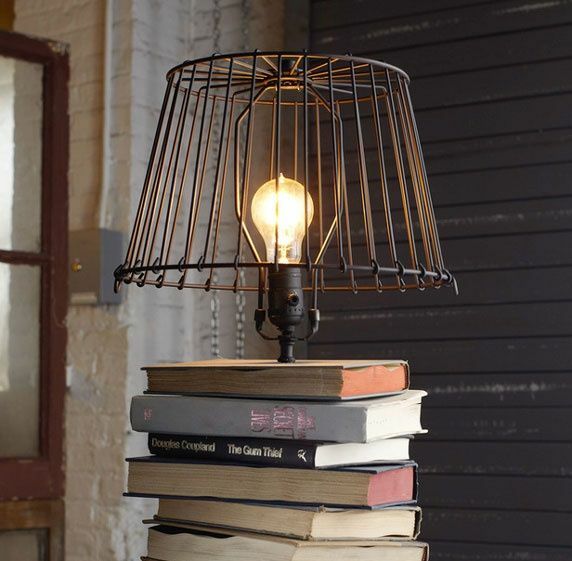 We admit repurposing household furniture and other items isn’t for everyone. It can be a little time consuming and a lot of work. But we can guarantee it’ll be worth the effort – and Mother Earth will thank you for it, too.